1. 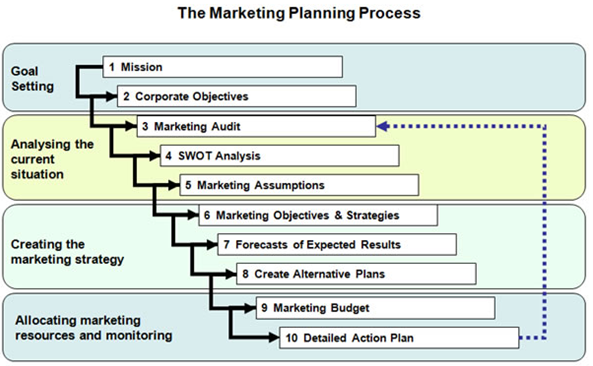 Marketing planning - what is it? 2. Which techniques/models should will be referred to? 3. Which examples should be used? This essay will explain the specific techniques that can be used by the organization for marketing plan. Due to time and word count constraint, the essay will focus on four models. The environment analysis process will be discussed using the PEST model and the planning aid models that will be discussed are Ansoff’s Matrix, BCG Matrix and Porter’s Generic Strategy. To make the essay more precise and clear, it will focus on only one organization that is Nestle. The reason behind not using different organizations for different models because, this might sometimes confuse the reader, thus emphasizing on single organization would make the reader to have thorough knowledge about the topic. The essay will be concluded by summarizing all the models in brief. Social: This factor examines the social environment of a particular market by gauging determinants like population, demographics, and cultural trends. Technology: This factor pertains to utilization of latest technologies that might affect the industry or business operations. This can be use of automated software systems, Research and development, technological awareness. After deciding the target market, it is important for the organizations to determine how to compete in that market, whether to target new customers or existing customers by offering new products or finding new market segments etc. There are different models that help to plan the marketing strategies as discussed below. Ansoff’s Matrix: This matrix was applied by Igor Ansoff one of the famous American/Russian Mathematician. This matrix ensures that the managers are able to grow their business either through new products or existing products in new or existing markets. This helps the manager to assess the degree of different risks that is associated with the firm. Market Penetration: This is about raising the market share by focusing on the existing market which can be achieved by offering more service/products to the existing customers or by finding new customers in the existing markets. Market Development: This strategy emphasizes on launching the existing products for new market. Market Segmentation and market research helps the organization is to find out new customer base. Product Development: This strategy is about developing new products for the existing markets. This involves finding strategies to meet the demand of the customers by launching the new products and break the competitor’s products. Diversification: This is a strategy of launching new products in the new market. It is one of the risky strategies where organization might face many uncertainties, however if the existing activities are well planned, then diversification would be a successful strategy. BCG Matrix: This a framework created by Boston Consulting Group which helps to evaluate the strategic position of the organization’s brand portfolio and its potentials. This model helps the organizations to assign the required resources and also can be used as an analytical tool for portfolio, product, marketing and strategic management analysis. The main purpose of this model is to help the organization to understand on which brand to invest or divest. The model consists of four categories which are based on competitive position (relative market share) and industry attractiveness (growth rate of the industry). The relative market share dimension helps to evaluate the business portfolio. Higher the market share of the corporate, the higher is the cash returns. Then the market growth rate dimension helps to understand the growth rate of the business. The higher is the growth rate, the higher is the profit and earnings. Stars: They are the business leader with both high market share and growth in the market. This business unit generate large amount of cash, however to lead in the market they also need to invest. The best strategic choices are product development, market penetration, horizontal and vertical integration and market development (Jurevicius, 2013). Porter’s Generic Strategy: The generic strategy was introduced by Michael Porter that consists of three generic strategies which help the businesses to maintain and achieve the competitive advantage. According to Michael Porter there are three ways: focus strategy, cost-leadership strategy and the differentiation strategy. Cost leadership Strategy: This strategy is about being the low cost producer in the market with high quality level. Here the firm sells the product at a low cost compared to average prices of industry to earn high profit (Kotler and Keller, 2011). Differentiation Strategy: This strategy is about developing service or product with unique features and attributes for it’s the potential customers. This adds value to the firm and also products and service (Kotler and Keller, 2011). Focus Strategy: This strategy focuses on specific geographical market, product segment or the buyer group. It has two different variants one is differentiation focus and other is the cost focus. In differentiation focus the organization seeks differentiation in the target segment and in cost focus the organization seeks the cost benefit in the targeted segment (Kotler and Keller, 2011). In this section, Nestle will be used as an example to demonstrate the above mentioned models. Nestle is a Swiss based company which has become one of the largest nutrition and food company in the world. The PEST analysis would help to identify the effect that influences externally on the performance of the organization. Political: Even though in United Kingdom the government is in the form of both parliamentary and monarchy, the system actually follows common law and well-balanced practices. Nestle belongs to the European Union and has a good relation with the Great Britain government. Economic: UK is the third largest economy, however due recession, the market has predicted a mild slip back. Thus because of slow economic growth rate, Nestle need to come up with new production plans and also recruit local candidates to value creation and also continue in the market. Social: The UK population lies in the age group of 15-64, that means the population is slowly aging. Thus, it is an opportunity for Nestle to come up with new product lines like protein bars or organic nutrition food or chocolates with low calories and extra health benefits. Technology: UK heavily emphasizes on computer aided designs and simulations and research and development. This shows that the country is technologically advanced. This is also an opportunity for Nestle where focusing on Research and development would give a competitive advantage to the firm. Nestle also have the option of introducing new application for digital world so facilitate the customers with easy buying. Nestle works in a huge number of distinctive markets. Remembering each one business it creates diverse techniques. The Ansoff Matrix demonstrates four various types of methods that organizations can follow to accomplish their objectives. Firstly it is the market penetration strategy. In this methodology organization brings down their costs so they can go into the market all the more rapidly. It was seen that when Nestle entered Pakistan, they presented their existing product, Milo at extremely reasonable rates, so the business can promptly acknowledge the product. In Market development, the organization takes a current product into another business. This can be seen as when Nestle took KitKat to remote markets or when it propelled Nescafe espresso in China. Product Development is the point at which an organization stays in the same business presently working yet begins to extend its product offering. Nestle was seen utilizing product development when it stayed in the European market however began wandering into nutritional and health products and extending its product offering. Nestle additionally has a diversified portfolio as it invests into the cosmetic organization L’Oreal and is additionally the stakeholder in various pharmaceutical organizations around the world. Nestle is a branded House. It comprises of over different types of products and every product is at an alternate stage in the market relying on the area in which it is being sold. By and large the product offerings of Nestle can be partitioned into enormous sub classifications, for example, infant nourishments, which incorporate Nestrum and Cerelac, Bottled Water and Cereals, deserts, beverages, dairy products, chocolates and so on. 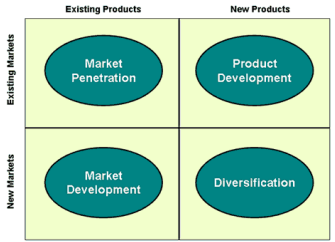 Every product from each of these diverse classes has different places in the BCG Matrix. For the purpose of this essay only a few products of Nestle will be examined (Boston Consulting Group, 2011). The Cash Cows of Nestle are effectively the vast majority of its chocolate brands and infant food products. Cerelac is an all inclusive cash cow and also Kit Kat that has extremely solid brand vicinity around the world (Reuters, 2012). Nido is quickly developing nourishing milk that is picking up prominently in the Asian part of the world and in the year 2010 (Nytimes.com, 2010), another manufacturing plant of Kit Kat was established in United Kingdom that was to create in excess of 1 billion bars of the chocolate each year. The Stars are those products which have potential in the business and Nestle’s lines of frozen product are snappy to catch a declining cooking market in United States. Nestle with one of its brand Stouffer, is revolving its regard for frozen pizza to capture more market share in the country (Bryson York, 2011). Dogs are those product offerings which don't acquire high revenue and are hard to turn around. These products are those that ought to be disposed of or sold off so they don't squeeze the benefits of the organization. Nestle, is also showing interest to invest in the pharmaceutical business to be a dog and that the organization ought to pull out and concentrate all the more on its nutritional products. Question Marks are those products whose future is uncertain. They can be transformed out into optimistic cash cows or could diminish to the dog stature for the organization. Concerning the Indian market, the breakfast grains of Nestle are the question marks. Remembering the society of India, the breakfast is a natural meal and the culture of having cereals is low (New York Times, 2012). The specific products in the Indian markets are as yet attempting to make sense of their future. To grow in this competitive market, Nestle has focused on product differentiation strategy with proper market segmentation process. Nestle provides wide range of products as per the different segment needs based on season ,age, climate and occupation etc like for example Coffee for busy people. Looking the behavioral segment of the customers, Nestle has introduced Decaf, Café menu, Everyday, Super Premium (Wyatt, 2013). Nestle has also introduced Chocolate milk or Nesquick who love chocolate taste, Cold coffee for hot season. Nestle also specializes babyfood products like Lectogen 1 for less than 7months babies, Even Nestle focuses on noodle section by producing Maggi noodles, Maggi Soup of different varieties etc. It also differentiates itself in its Channel and distribution area by reaching to its customers through transportation and market salesman. It also differentiates itself in terms of image; the logo of the organization is highly acceptable and different from its competitors. Even, Nestle has many employees who are highly trained and educated. This helps the business to run effectively and successfully. Nestle is also different from its competitors in giving service to the customers. The organization offers 24 hours service through its hot line service also offers high quality checking service to its customers. Following all this offers the organization, high position in the market. In conclusion, it can be said that marketing planning is the process of making decisions or analysis that an organization go through while implementing or defining their approach to the market. The essay has highlighted the 10 ways the organization needs to utilize for making effective marketing plan. Following this comprehensive process would help to make effective decision at each stage. The essay also demonstrated that analyzing the business environment is very important while making a strategic marketing decision, where the PEST model is the best tool to analyze the effect of external factors on the performance of the organization. To determine the strategic focus, the essay has demonstrated three useful model; Ansoff Matrix, BCG Matrix and the Porter’s Generic Strategies which would help the organization to determine the market and find the strategies to compete in that market. To give a precise and clear demonstration of these models, the essay has focused on Nestle, as an example instead of using different companies for different models. It is found through the essay that use of efficient procedures and marketing models, Nestle not only serves as a best nutrition and food organization but also as real multination organization. The utilization of these models has helped to create streamline process. Boston Consulting Group, (2011). BCG HISTORY: 1968. [online] Available at: https://www.bcg.com/about_bcg/vision/our_heritage/history/history_1968.aspx [Accessed 8 Jan. 2015]. Brooks, C. (2013). What is a BCG Matrix?. [online] BusinessNewsDaily.com. Available at: https://www.businessnewsdaily.com/5693-bcg-matrix.html [Accessed 8 Jan. 2015]. Bryson York, E. (2011). Nestle: Aisles to go with products. [online] Chicago Tribune. Available at: https://articles.chicagotribune.com/2011-03-10/business/ct-biz-0311-frozen-food-sidebar-20110310_1_pizza-nestle-usa-chairman-cooking [Accessed 8 Jan. 2015]. Cant, M. (2006). Marketing management. Cape Town, South Africa: Juta. goldsmithibs.com, (n.d.). MARKETING PLANNING. [online] Available at: https://www.goldsmithibs.com/freedownloads/Marketing/MarketingPlanning.pdf [Accessed 8 Jan. 2015]. Griffin, R. (2012). Management. 3rd ed. Boston: Houghton Mifflin Co., p.222. Jurevicius, O. (2013). BCG matrix: how to perform it? | Strategic Management Insight. [online] Strategicmanagementinsight.com. Available at: https://www.strategicmanagementinsight.com/tools/bcg-matrix-growth-share.html [Accessed 8 Jan. 2015]. Kotler, P. and Keller, K. (2011). Marketing management. 14th ed. Upper Saddle River, N.J.: Prentice Hall, p.51. Nytimes.com, (2010). NestlÃ© Plans R.&D. Center in India. [online] Available at: https://www.nytimes.com/2010/09/23/business/global/23nestle.html?_r=0 [Accessed 8 Jan. 2015]. PESTLE Analysis, (2014). What is PESTLE Analysis? A Tool for Business Analysis. [online] Available at: https://pestleanalysis.com/what-is-pestle-analysis/ [Accessed 8 Jan. 2015]. portal.tugraz.at, (n.d.). ANSOFF MATRIX. [online] Available at: https://portal.tugraz.at/portal/page/portal/Files/i3730/files/Lehre/Controlling%20englisch/Ansoff_Matrix.pdf [Accessed 8 Jan. 2015]. Reuters, (2012). China's moms key to Nestle baby milk deal. [online] Available at: https://www.reuters.com/article/2012/04/24/us-nestle-babymilk-idUSBRE83N0PD20120424 [Accessed 8 Jan. 2015]. Tanwar, R. (2013). Porterâ€™s Generic Competitive Strategies. IOSR Journal of Business and Management, 15(1), pp.11-17. Wilson, R. and Gilligan, C. (2012). Strategic Marketing Management. NY: Routledge, p.304. Wyatt, N. (2013). Consumer packaged coffee: NestlÃ© | Marketline. [online] Marketline.com. Available at: https://www.marketline.com/blog/consumer-packaged-coffee-nestle/ [Accessed 8 Jan. 2015].